Every time a TV show gets greenlit, it's a huge gamble. Networks stake millions of dollars on risky ideas, that need to bring back audiences week after week. Sometimes it pays off — Lost and Game of Thrones cost a lot of money — but sometimes it doesn't. Here are the 10 most expensive failed TV shows of all time. You'll notice one thing in common about a lot of these shows: They were made during the post-Lost boom in huge high-concept pilots. When Lost aired, it had the most expensive pilot ever made at the time. So everybody tried to copy that triumph... with mixed results. With a pilot estimated to have cost somewhere between $16 and $20 million (reports differ), a per episode cost of around $4 million, and a major promotional campaign that included trailers at screenings of X-Men: First Class and Harry Potter, this dinosaur-laden disaster cost upwards of $50 million dollars…before marketing costs. A flash flood in December almost killed one of the production's security guards while he was trying to save a generator. When the rains formed a river around the Terra Nova colony, producers and actors had to trudge through knee-deep mud to get to the set. A bridge had to be built. The crew set up generators in the jungle, wove miles of cables through gullies and built cement islands in rivers to install lights—which attracted bugs. We selected these locations for how they would look on film without a lot of attention to what it would take to move very large equipment," says Mr. Graves, the director. Adding insult to injury, the production had a major tick and leech problem. 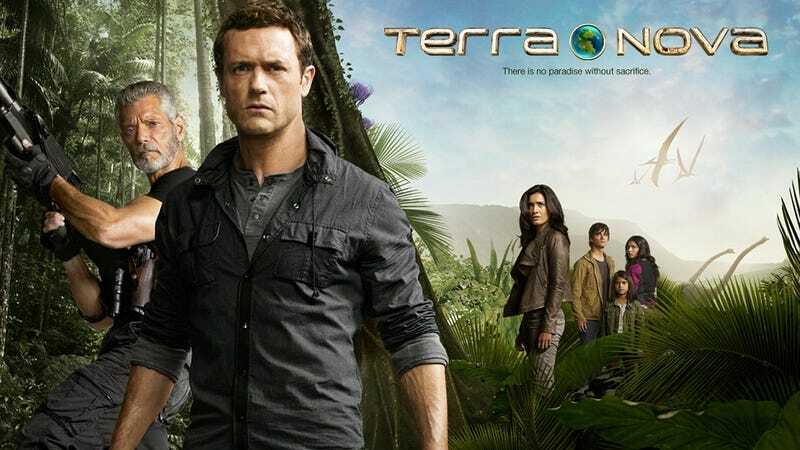 Terra Nova never performed as well as Fox had hoped (particularly given such an enormous budget), and the series was cancelled after one thirteen-episode season. Known as the show that almost bankrupted NBC (together with the boycott of the 1980 Olympics, but still), Supertrain was the most expensive series ever aired when it premiered. What, you ask, was Supertrain about? Well, it was about a supertrain, powered by nuclear energy, that shot between New York City and Los Angeles at speeds of around 200 miles per hour. Presumably stuff happened on board — the show was supposed to be a sort of Love Boat on a train — but the main point seems to be the train. The show experienced difficulties right from the start: a model train set costing around a million dollars (over $3 million in today's money) crashed at its very first demonstration. Cancelled after only nine episodes due to low ratings and terrible reviews, Supertrain also regularly appears on "Worst Television Shows of All Time" lists. Battlestar Galactica was enormously expensive for its time, rumored to have cost around a million dollars an episode (over $3.6 million, adjusted for inflation). And although it eventually got rebooted as one of the most beloved science fiction shows of all time, the show's performance in 1978 was only so-so: after a strong start, it was overwhelmed by CBS's All in the Family, and ABC decided not to renew it for a second season. The pilot for this short-lived reboot cost somewhere around $7.4 million dollars to produce, with per episode costs of about $6 million and a promotional budget of over $15 million. Although the show quickly lost viewers and received mostly negative reviews, it was also the victim of some bad luck: the 2007 WGA strike hit after only a few episodes, forcing production to halt. After the strike was over, enthusiasm for the show had dissipated, and filming was never resumed. Vaguely based on the Biblical tale of King David but set in a fictional kingdom that resembles the modern United States, Kings was always going to be a weird sell. That didn't stop NBC from sinking a reported $10 million dollars into its two-hour pilot, or from approving per-episode costs of $4 million. The show debuted to mixed reviews and very poor ratings, and it only lasted a few episodes before its remaining episodes were offloaded to the summer season. Camelot, a lavish fantasy-drama starring Joseph Fiennes and Eva Green, cost around $7 million per episode to make. It received mixed reviews and so-so ratings, and Starz decided to cancel it after only one season. The official reason for cancellation was "significant production challenges," which likely included scheduling difficulties with the show's high profile stars. Although exact numbers are difficult to come by, most estimates put Flash Forward in the Terra Nova/Lost category of very big-budget shows. Co-creator David Goyer has said that ABC was "very good about opening up the piggy bank" (which I'm sure is exactly what you want to hear when you're a television executive), but a liberal piggy bank — and decent reviews — couldn't save the show from plummeting ratings. ABC cancelled Flash Forward after the conclusion of its first season. Stepping away from science fiction and fantasy for a moment... Viva Laughlin was an adaptation of the BBC series Blackpool, and it can best be described as a musical comedy-drama-mystery set in a casino. Hugh Jackman was one of its executive producers. It's been called one of the worst shows in television history. In addition to being extraordinarily bad, it was also extraordinarily expensive: the pilot cost around $6.8 million. No one was surprised when CBS cancelled the show after only two episodes. This adult computer-animated series about a family of white lions who live backstage at Siegfried and Roy's casino show almost never made it to television: Roy Horn's mauling happened while the series was being developed, and DreamWorks seriously considered killing the project. They decided to go ahead with it anyway, to the tune of between $2 and $2.5 million an episode — making it, at the time, one of the most expensive half-hour comedies ever produced. A large-scale marketing push caused the budget to balloon even more. The show received dismal reviews, and although it premiered to good ratings, viewership quickly dwindled. NBC cancelled the series after one season. Another big-budget sci-fi series that's frequently mentioned in the Lost "major money" category, The Event had an astonishing estimated marketing budget of around $15 million before it launched, with the pilot rumored to cost around the same amount. The promotion worked…for a while. The show debuted to good ratings and solid reviews, but lost almost half of its audience by the tenth episode—and things just got worse from there. NBC cancelled The Event after one season.